Click below for enlarged versions of photos taken at some of the Group's activities. Welcome to the web site of U3A Leeds, devoted to lifelong learning, providing opportunities to share skills and interests by learning together. 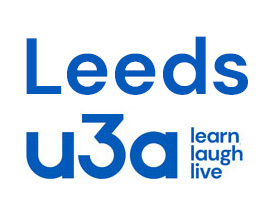 U3A Leeds is affiliated to a national organisation, the Third Age Trust. Membership is open to anyone within the Leeds area who is no longer in full time paid employment. There is no age limit. For information on how to join, please see the Membership page. Details of General Meetings for the Summer session are on the Programme page. Details on the Walking Group page. Details on the Grand Day Out page. Details on the 7 up page. To download the U3A Leeds Bulletin No. 10 (January 2019), click here. You can download some previous issues of newsletters from the Documents page. The Yorkshire & The Humber U3A Region now has a bi-monthly Regional Bulletin. You can find the latest issue here. Please report any errors, broken links or other problems with this site by emailing the webmaster.